Some AT&T (NYSE:T) wireless retail stores across the country were closed on Saturday as striking workers picketed outside. Reports came of sporadic store closings from Montana to Bangor, Maine. This was the first labor strike against the company in four years. The workers say AT&T’s contract offers to date have not been fair. The workers are asking for better wage increases, no increases in their healthcare contribution, and more protection against the outsourcing of their jobs. 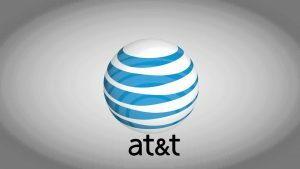 AT&T claims it has offered “generous” wage and pension benefit increases and healthcare benefits in line with what other unionized employees have seen as acceptable. The strike is one of the largest in the U.S. in the past decade. The striking wireless workers have been joined by about 17,000 striking workers in AT&T’s traditional wireline telephone and Internet business in Nevada and California. The wireline workers have been working without a contract for over a year. The CWA says additional workers from the wireline business in Connecticut and the DirecTV unit in California are also on strike. A seven-week strike by 36,500 Verizon workers last year inspired the AT&T workers to strike as well. The Verizon strike ended with workers getting a better deal than the company had been previously offering. The strike is expected to end Monday morning. The last AT&T labor strike, in 2012, only lasted two days.